Last year the guys from North Empire got Joey Cape (Lagwagon/Scorpios) and Russ Rankin (Good Riddance) to play the third Acoustic Punk Meeting on the camping site of Groezrock. 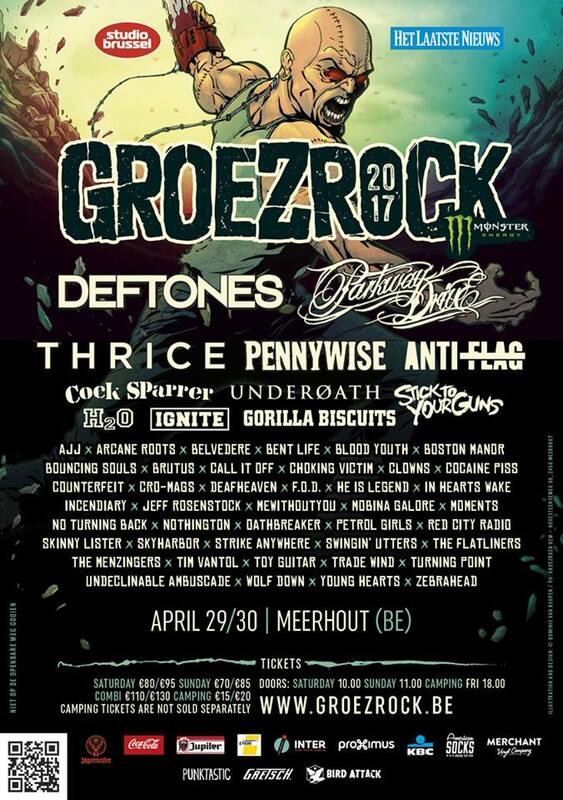 This year, even more acts from the actual Groezrock line-up will be joining in in this rising phenomenon. Come to the barbecue site on Thursday May 1 to see the likes of The Smith Street Band, Crazy Arm, ASTPAI and many more. You will need a camping ticket to be able to visit the Acoustic Punk Meeting. More information on the event and all performing artists is found here. If you want to play too, you can send North Empire an e-mail. To give you a quick impression – without all the background noise that will be at the camping site – here is Crazy Arm playing acoustic at 2000 Trees festival. This entry was posted on Wednesday, April 2nd, 2014 at 9:40 PM	and tagged with Acoustic Punk Meeting, ASTPAI, Crazy Arm, Groezrock, North Empire, The Smith Street Band and posted in News. You can follow any responses to this entry through the RSS 2.0 feed.